Scaffolding is a technique that is supported by some MVC frameworks. Ruby on Rails,OutSystems Platform, Express Framework, Play framework, Django, MonoRail, Brail, Symfony, Laravel, CodeIgniter, Yii, CakePHP, Phalcon PHP, Model-Glue, PRADO, Grails, Catalyst, Seam Framework, Spring Roo, ASP.NET etc. Scaffolding facilitates the programmers to specify how the application data may be used. This specification is used by the frameworks with predefined code templates, to generate the final code that the application can use for CRUD operations (create, read, update and delete database entries). An Express.js scaffold supports candy and more web projects based on Node.js. 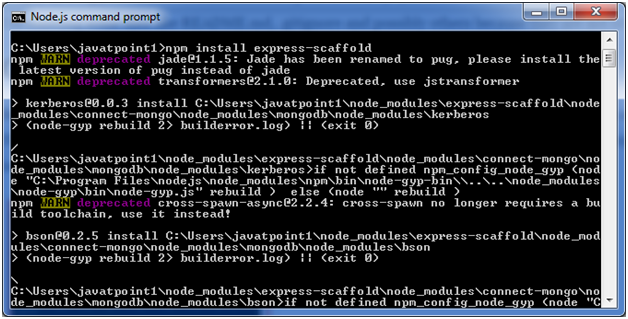 Execute the following command to install scaffold. Now, you can use express to scaffold a web-app. Fill the entries and press enter. 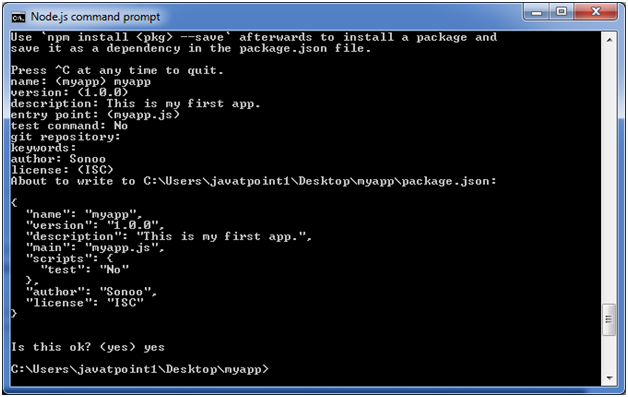 It will create a package.json file in myapp folder and the data is shown in JSON format.